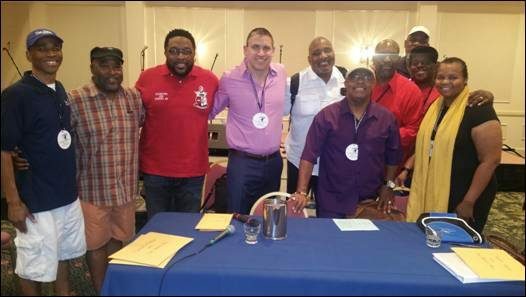 North Carolina Gospel Announcers Guild Far Exceeds Conference Expectations! 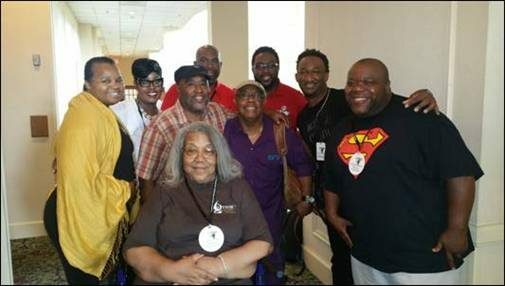 Durham, North Carolina — Gospel Music lovers headed to Durham, NC for an extended weekend to participate in the 20th Annual North Carolina Gospel Announcers Guild (NCGAG) National Conference. Continuing a treasured tradition of listening to national and independent artists perform as well as participate in interactive workshop panels and sessions with some of the top music industry executives in the country, many are calling the three day conference one of the best in it’s twenty year history. 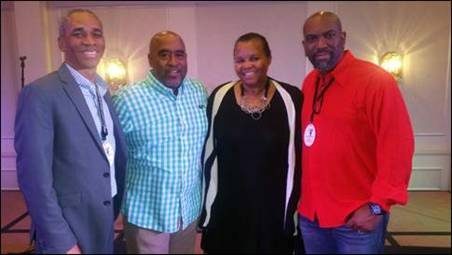 The North Carolina Gospel Announcers Guild, under the leadership of Bishop Arvetra Jones, Jr., made it his mission to give independent artists a platform before hundreds each night to minister their music. From traditional, contemporary, Quartet to Hip-Hop flavor gospel, they were all welcomed and received with much love. The Thursday night Quartet Division Showcase turned into an anointed church service with laying on hands and prayer. 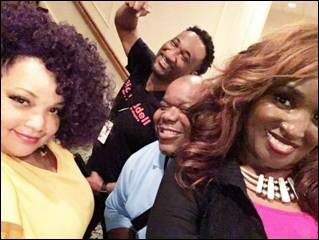 Held Wednesday, Friday, June 14 – 16, 2017, some attendees were calling the Convention, the “Pre-GMWA Convention”, and it sure did feel like it. Each day was filled with morning workouts, followed by morning and afternoon panel sessions, with lunch and dinner, all held at the comfortable Millennium Hotel in Durham, NC. Networking with industry executives and artists was non-stop! 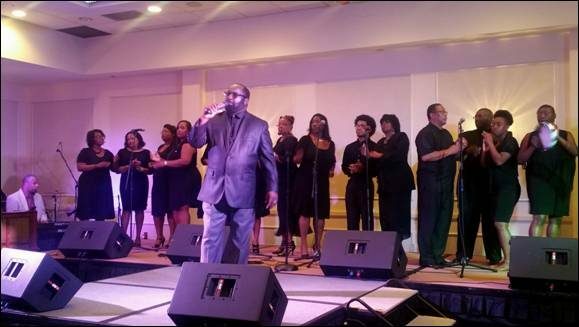 On Wednesday night the opening and dedication service took place with guest speaker Pastor Ronald L. Godbee, of the River Church along with guest psalmist Ruth La’Ontra. The Thursday night service was also amazing as the evening concert effortlessly transitioned into a Holy Ghost party. 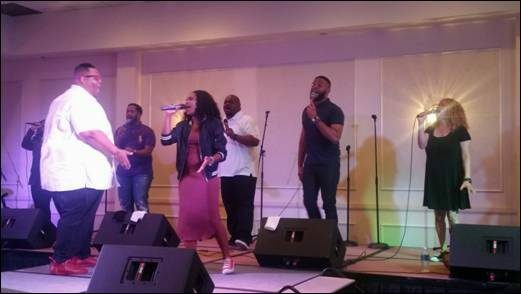 God’s anointing was truly present with much praise and worship from the saints. Friday was catered more so to the Contemporary, Traditional and Hip-Hop Community. Presenters and special panel guests included Sybil Sloan who delivered an powerful presentation on “Preparing Your Taxes in the industry,” other presenters included Kevin James, LaShelle LaLa Crump and representing the Power House Radio and Industry panel were, Jerry Smith, Chris Squire, Sheilah Belle, Dennis Cole, Damon Stewart and Roderick Jemison. 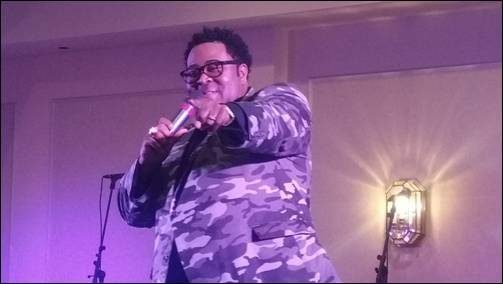 Special guest performing on Friday night included Luther Barnes, Lucinda Moore, Damon Little, Charles Butler and Trinity, Eric Waddell & the Abundant Life Singers, Clarkwise, Young Saint, Last Call from Bermuda, Charles Moore and JA. All Stars. 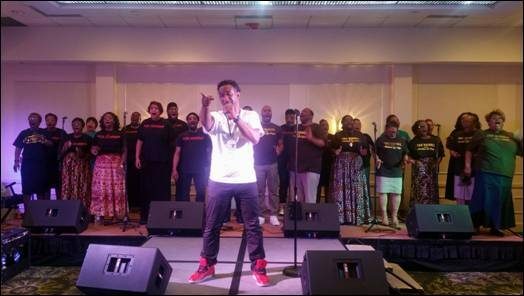 Serving as the host emcees for the nightly concerts were George Dean, Stand Jones and Evelyn Turrentine-Agee on Thursday night and Bobby Parker, Jerry Smith and Sheilah Belle on Friday night. 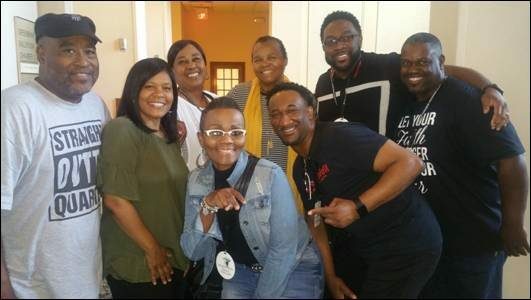 Other familiar faces coming through the convention were Paul Porter, Jamila Joy, Leroy Stanford, Rosie Trenia Moore, Tonya Perry, Alycia Ali, Keith Morgan, James McDonald, Ann Lewis, Randy Johnson and Tonya Perry. 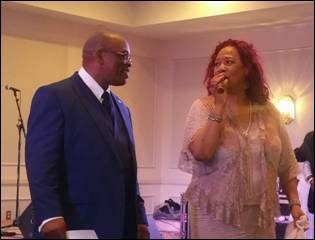 The NCGAG also poured out love on Sheilah Belle and thanked God for her healing. She was presented with several gifts during the evening including a designer Coach Bag from Dr. Ella MahMoud, who is also over the Quartet Division. Paul Porter was also presented a special gift during the weekend and a moment of silence was also recognized for the industries dear friend Kenny Taylor. This was such a GREAT event with a cohesive program formula that resulted in only praise and no complaints. From great vendors, great music to great food, there was truly something there for everyone. 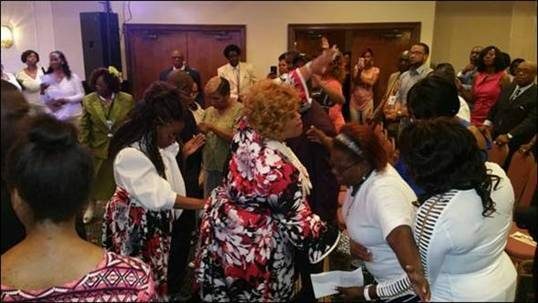 Bishop Jones says, “We are already locked in for next year, June 13, 14th and 15th and we look forward to doing it again, including Quartet Night on Thursday night 2018.” He also added, he was blessed to have his mother and pastor, Lydia Jones, join him for the three day conference as well.